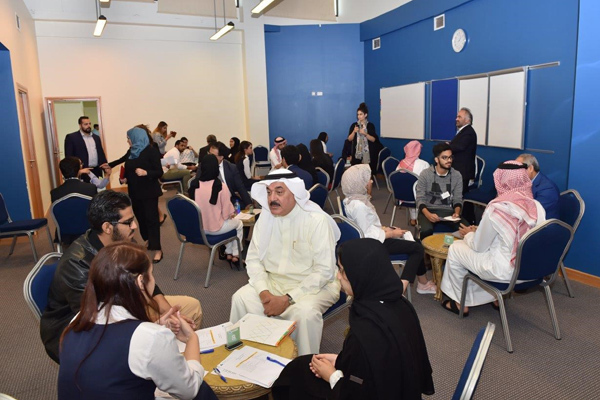 Injaz Bahrain, a leading non-profit organisation focusing on youth economic empowerment, recently hosted the “Young CEO’s Program" during a board meeting, as part of its plan to help develop and provide opportunities to young Bahrainis. The ‘Company Program’ is Injaz Bahrain’s signature curriculum, it provides an outlet for untapped creativity and business savvy. The capacity and willingness to develop, organise and manage a business venture along with any of its risks in order to make a profit through starting new businesses, it said. The programme is structured as an economic and business laboratory where students, under the supervision of a volunteer mentor from the private sector, experience the entire life-cycle of a start-up company, it added. “It is an extension of our vision to provide the youth with the different skills necessary for success and open new doors for the students allowing them to discover their potential,” he said. “The programme also aims to highlight the important role of companies when it comes to social responsibility and adhering to ethical practices. We would like to thank all our volunteers, who hail from some of the biggest companies in Bahrain, for taking the time to share their expertise with the future CEO’s of Bahrain,” he added. “I was able to learn how they carry their daily tasks and their formula for success. I’ve always wanted to be an entrepreneur, and through the ‘Company Program’ I learned how to bring my ideas to light,” he added. Injaz Bahrain's long-term vision is to develop the ‘Company Program’ into one of the most sought after programmes for schools and universities. It gives the student CEO's the opportunity to network with top executives from diverse backgrounds, industries and countries, gain valuable market knowledge and develop understanding of the roles and responsibilities of top officials represented by the organisation’s board members to pave the way for these youngsters to become successful leaders of the future. Injaz Bahrain, in cooperation with the Ministry of Education, works with over 200 secondary, intermediate and primary schools, and 12 Universities with the support of a network of more than 5,000 corporate volunteers who implement a series of business and entrepreneurship programmes that reach over 25,000 students annually through 15 economic based programmes. The capstone of Injaz programmes, born from more than 90 years of JA Worldwide programming, exposes youth to the concepts of free-market economics and participatory governance and capital.